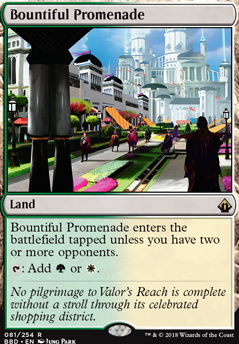 While Bountiful Promenade is a thing as well! Ever thought of replacing Razorverge Thicket with Bountiful Promenade ? I've noticed recently a lot of people starting to play the bond land over fast lands in cEDH now. Hey, this is one of the better made Emmara decks on TappedOut, nice job. Consider Reconnaissance? One drop enchantment is very good with Emmara since it gives you three phases to tap and untap her each turn. During your first main phase tap and untap Emmara then attack with her and take her out of combat. Free to then tap and untap her again in your second main phase. Consider Aura Shards or Nullmage Shepherd? 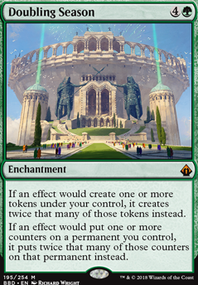 Shards is one of the better enchantments with tokens being able to destroy not just one, but many opponent artifacts or enchantments each turn whenever Emmara makes a token. Shepherd is less good, but budget and still can be a repeatable way using Emmara/Soldiers to destroy your opponents artifacts/enchantments. Consider Eladamri's Call? Budget creature tutor and it's one the best since it's instant and puts the creature right into your hand. Canopy Vista, Temple Garden, Bountiful Promenade are Selesnya dual lands to consider. 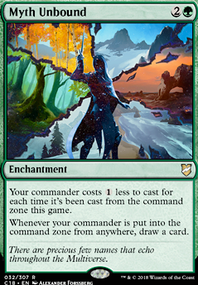 Gavony Township and Wirewood Lodge are great utility lands with Emmara and tokens. "Derevi is not a tier 1 strategy, so the title of your list would be misleading to players." 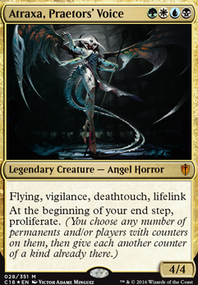 It's one of the better Stax decks out there together with blood pod and such. 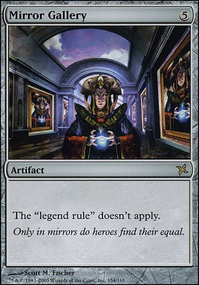 So in a sense, it's above all the other Stax decks even though Tiers are a mere illusion in this dataless CEDH world... and without that Data, you can only get to what you've done with your list and that's fine!!! Also, I don't see tier 1 in the title anywhere so? 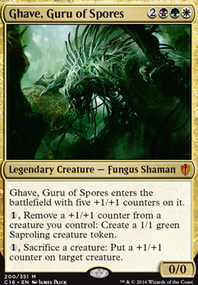 "Sol Ring, Wild Growth, Priest of Titania: multi-mana sources that have a strong Derevi synergy; their non-inclusion borders on incorrectness." Seems like you don't know how this deck really works, apart from the "shaman" these cards create soft locks and aren't at all slow... soft locks become hard locks... having a variety of these creates consistency and bodies for Derevi triggers.